Despite what your calendars and thermometers may say, summer's here! And if you happen to be in another part of the world where it's pretty cold right now, rejoice, because it just takes one quick (or repeated) listen(s) to the new single from Sydney, Australia's seminal indie pop band Jinja Safari to be teleported to a warmer, brighter, and happier place. "Find My Way" comes to us in the wake of founding member Pepa Knight's recent solo effort Hypnotized Vol. 1 EP and serves as the preliminary taste of Jinja Safari's upcoming sophomore LP. Inspired by experiences while touring in the UK, "Find My Way" is a joyous celebration of life to say the least, and if you watch the official music video, which is composed of five years' worth of footage collected by vocalist Marcus Azon of the band's exploits, you can witness for yourself how much fun these guys have while traveling abroad together. 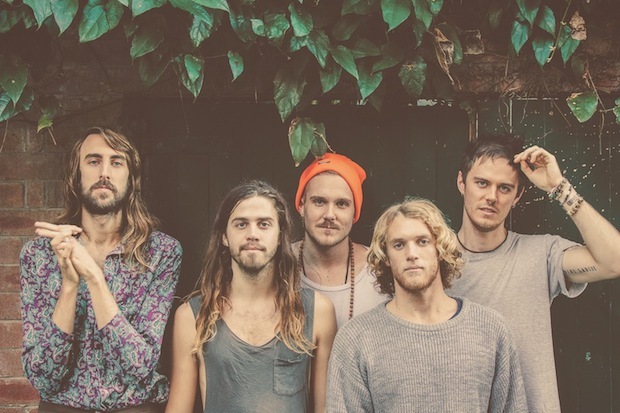 Jinja Safari's usual afropop beats, island guitar, tropicalia flourishes, and other worldly influences come together beautifully with the soaring vocal harmonies on this buoyant track, which will certainly find its way to the top of many a summer playlist. Stream "Find My Way" and/or watch the official music video below, and if you approve, you will definitely dig Pepa Knight, so stream his recent EP here.